The title of video-sound installation “and in the eyes of the hungry there is a growing wrath” takes the phrase from John Steinbeck’s The Grapes of Wrath (1939). The epic novel about the distress, exodus, exploitation, and social exclusion of a family of Midwest farmers during the Great Depression of the 1930s provides the point of reference of Doplgenger’s view of economically caused, historical and contemporary migration movements. 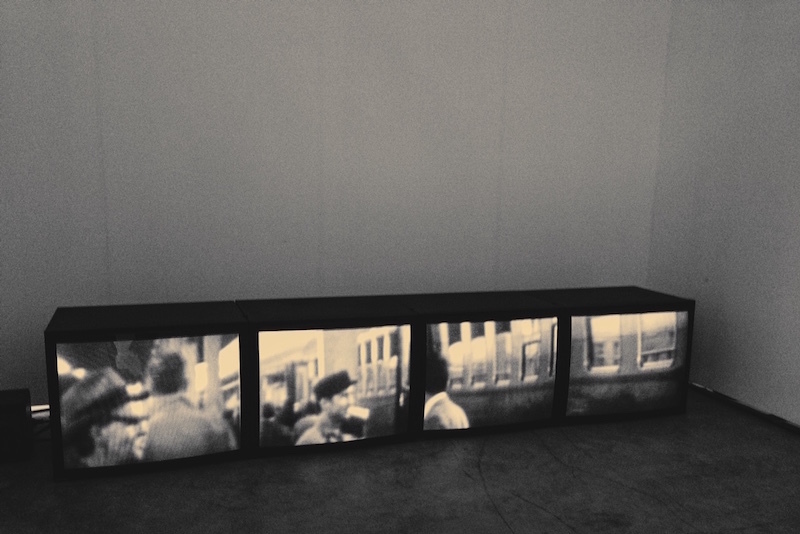 Doplgenger intervened into the footage of Yugoslav television, which had been recording the processes of temporary economic migration to the Western European countries in the 1960s.